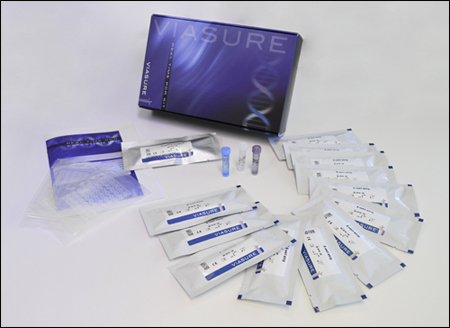 VIASURE MERS Coronavirus Real Time PCR Detection Kit is designed for the diagnosis of MERS Coronavirus in clinical samples. The detection is done in one step real time RT format where the reverse transcription and the subsequent amplification of specific target sequence occur in the same reaction well. The isolated RNA target is transcribed generating complementary DNA by reverse transcriptase which is followed by the amplification of a conserved region upstream of the E gene (upE) (MERS Coronavirus 1), and the open reading frame 1a (ORF 1a) (MERS Coronavirus 2), using specific primers and a fluorescent–labelled probe.